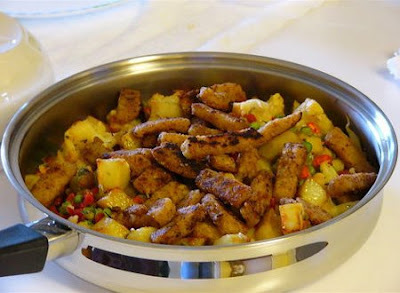 This was a stir-fry with potatoes, bell peppers, peas, and TVP strips. 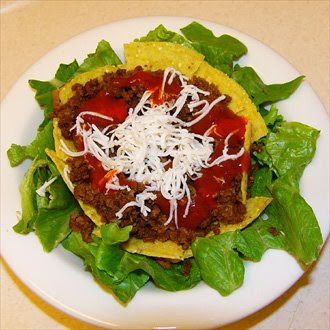 Taco salad - the easiest road meal ever! Stove top pizza made from scratch. so I made a yeast dough and cooked it on a frying pan covered with a glass lid. This was when we were traveling with a toaster oven. 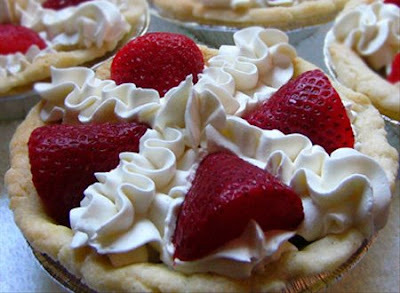 and topped them with vegan buttercream and fresh strawberries. layered them with vegan buttercream and sliced strawberries in between each pancake. Bummer, you can't see the sliced strawberries here. where you can find lots of wildlife and several Prairie Dog Towns. 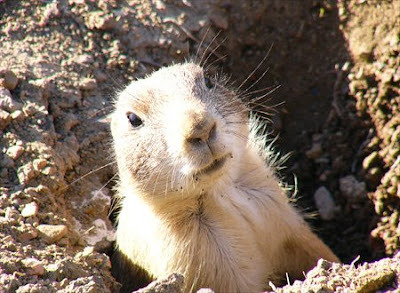 Prairie Dogs are such cute little dumplings! Lunch time! 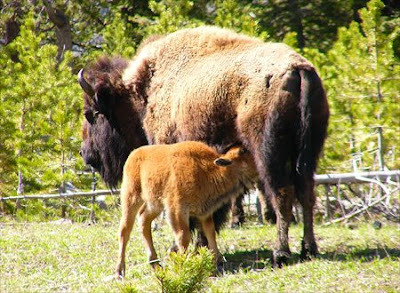 Baby and mother buffalo at Yellowstone National Park. Yellowstone is the perfect place for wildlife-watching. 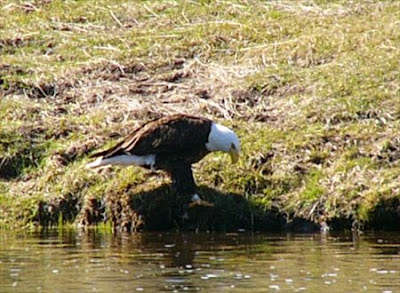 This bald eagle reached into the water with his/her foot and grabbed a fish! Can you see the foot reaching into the water? and the picture doesn't even begin to do it justice. Mr. Wing-it almost fell in there trying to get a good shot! 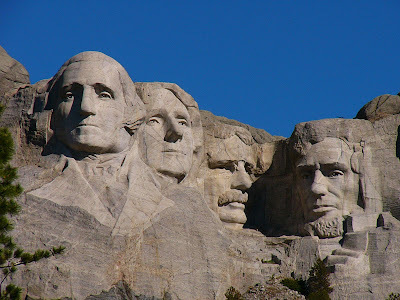 We've been to Mount Rushmore twice. but Mt. Rushmore really is quite impressive when you see it in person. and all we could hear were the gigantic trees making some sort of percussion sound. So that's where we will be soon, on the road again. This year is extra exciting because I get to share our trip with all of you! River, I love this post! I especially love the "you falling off the mountain" pic! What a wonderful post! Your food looks so good for being made on the road--actually, it looks great for not-on-the-road food as well! Any chance you will be coming up to Alaska with your super-cool mystery job? We have parks! Pretty ones! We even have ground squirrels and bald eagles! I wish you had posted this when I was coming up from AZ!!! You are such an inspiration with all the eats, I never knew such great meals could be prepared on a trip. And those desserts...wow River. Ahh, I almost thought you were really falling in there!! omg...i love your life! look at the fancy feasts you prepare for u and mr.hottie! come on! that's just hitting below the belt...kidding. i don't even eat as well u do when i travel. jealous! You're so amazing with your hotel-cooked meals! When I traveled for weeks at a time with the USGS I have to admit I was rather uncreative. You take the cake! You're cleaver, those hotel-prepared meals look fantastic! river your travel food is amazing!!! 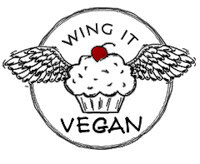 no more nut butters, granola bars, and hummus for vegans :) i especially love the desserts - you are a girl after my own heart! Wow! You're a wiz! I could have used your help during our 6 month road tour of Australia! :-) So cool that you and your DP can work/travel together. We aspire to that as well (you must share your secret one day, please!) LOVE the Canyon shot. Nice stovetop pizza. Everything looks beautiful! Thanks for sharing your travel photos! those hotel road meals are totally impressive! I'd love to hear more travel tips. As a relatively new vegan who likes to vacation, I'm now on the look out for accommodations with kitchens. Holy moly, those meals look fantastic. What do you use to cook on when there isn't a stove in the hotel room? hey river!! you and your hubby must have an awesome job. i like that it's a mystery. i'm thinking of all these crazy jobs like undercover cops, special agents, food critics, and of course, a traveling circus. i knew you guys wouldn't eat crap while you're in a hotel!! this is the best hotel food i've ever seen. i love the pancake cake. it's awesome. i can't wait to see where you guys go!! holler when you get to pennsylvania!!! All the road food looks incredible, special props to the no cake, cake- such a clever idea! do you bring a mini kitchen with you on the road? WOW your hotel foodz put mine to shame, I live off smash & pot noodles!! hahaha. I'm kind of jealous of your travelling job - all those pictures look amazing. Now you got me all curious about such an awesome job where you get to visit national parks! I'm absolutely impressed by the meals you cook in hotels. How do you do it? It's just amazing. Your mystery job sounds awesome. So you get to travel around beautiful National Parks, working with your husband? TOO COOL! And your food looks amazing too! You really are the master of winging it! I would never think to make pizza on the hob (stove top)! If I had to live kitchenless, in a hotel room, I would probably end up eating many, many, sammiches.......and Doritos! Your pictures are beautiful! I get so excited if I ever see a wild animal, it makes my day! And nice to see another picture of you! You look like you are having a blast (are you sure you are 'working'? Hee hee!). Oh wow, that's awesome! I love the oven-less meals, they sound awesome, regardless! They are some beautiful photos. The little prairie dog is so cute! this is so exciting, River! thanks for sharing all the awesome pictures from past trips with us. that's so cool! i loooove your hotel room meals - they rock so hard! i can't even imagine making all that awesomeness, you're too good! :D glad you're bringing the laptop with you, too - i would be most sadfaced & miss your posts if you weren't! happy almost weekend time to you, too! Making your own vegan food in a hotel room? I am SUPER IMPRESSED! 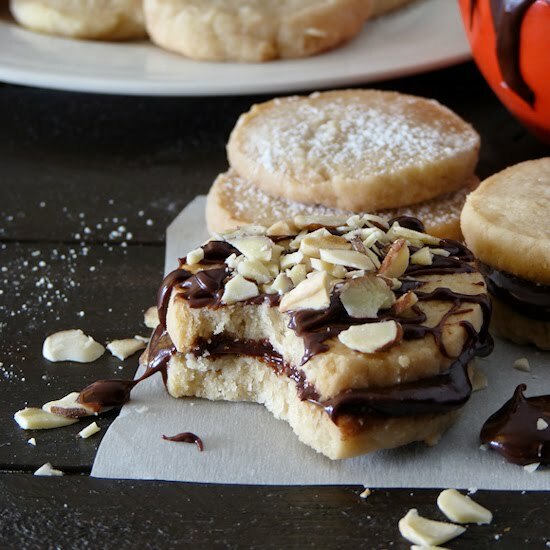 Everything is so yummy looking! Who needs lame restaurant food?! Mr. Wing-it is a lucky man! I'm so jealous that you get to travel so much. The only 2 states I've been to are Iowa and Texas. Your travel pics are great! The pictures are beautiful. Sounds like you have an awesome job. Are they hiring :) I am like you in regards to restaraunts, I am very neurotic about who cooks my food. There are only a handful of restaraunts I will eat at. That is why I cook so much at home. Thank you for this post and all the grat pictures! Now I want some stir fry and hang around the Grand Canyon. So, to answer a few of your questions, one of our suitcases is our "kitchen bag". In it we have kitchen utensils, a frying pan, a couple of small saucepans, one mixing bowl, little food storage containers, plates and silverware. On the same bag we have dry foods, like beans, rice, oats, breadcrumbs, spices, TVP, tomato sauce, flour, sugar, etc. Oh, and we have a portable single burner. It's a very heavy bag! Our snacks (cookies, nuts, crackers, bars, cereal) go in a canvas bag in the back seat for easy access. Lisa, my favorite extended stay hotels are Mainstay Suites by Choice Hotels and TownePlace Suites by Marriott. They are clean, their kitchen area is well equipped, and you pretty much always know what to expect from them. The Extended Stay America hotels aren't too bad, but their beds are terribly uncomfortable. Anyway, I'll write more about hotels and all our preparations soon. Oh, and I'll take pictures of our kitchen bag when it's packed and ready to go! I know I am old enough to be your mother, but can we reverse the roles, just for a little bit. If your travels bring you down to Florida, give me a buzz, we would be killers in the kitchen. You...me...Savanah. Pretty wildlife pics. I could be wrong, but I'm guessing ya'll are like park service folks. Maybe not. But just guessing by the cool nature pics taken on work trips. That stovetop pizza is genius. I would never think to do something that awesome. But if I'm ever left without an oven, I will definitely try that. I'm also quite jealous of that cake you got there! Those are such fantastic pictures! I also love your resourcefulness while eating on the road. I guess if I traveled that much I'd think more about it, but I usually just end up packing a lot of stuff and craving anything cooked by the end of a trip! Those are some amazing meals for being prepared in a HOTEL room! Amazing. You have some real talent River! Have fun going on the road! I, for one, LOVE road trips. They are my absolute favorite thing. 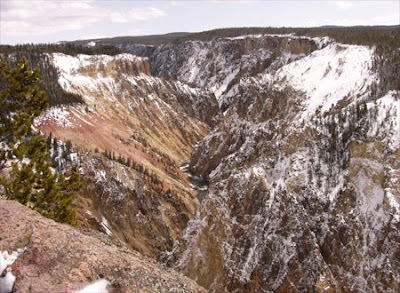 I love Yellowstone! I have been there so many times, its ridiculous. I haven't seen the Redwoods, I haven't been to The Grand Canyon or Mount Rushmore. I know, I'm deprived. It's terrible. I'm loving the cooking on the road. That should be a Food Network show all on its own....River on the Road! As far as my FN aspirations, no word. It's one of those things where they don't tell you if don't get picked. But, I feel like I would have heard something already. But, I'm not bummed. It has energized me to work harder, learn more, hone my vegan skills. Too, from the feedback from viewers on the site, I need to do more actual cooking in the video. 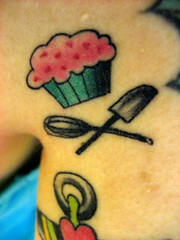 Totally going to incorperate that and somehow get a video going of me in my 3'' square kitchen :). Here's to the sixth season of FN Star! I can't believe you make all those amazing meals in a hotel! I've never been to a hotel where I get a stove top for the least. I'll check those kinds of hotels next time I travel. Ok, just read in your reply that you bring your burner! So clever! Do they let you cook in your room? I suppose they don't know! Your trips sound so exciting! I want to go travelling! What great ingenuity and creativity you have. Marty and I do a fair amount of traveling on the road and you have definitely inspired me. Wow River! The photos are great. The Eagle one is awesome. A rare sight I would guess. I am looking forward to a Vegan Road Trip cookbook. Those are some great looking dishes and amazing imagination to think up travel/hotel room friendly versions. The food and the sites look great! Gorgeous photos. I'm in awe of the food you come up with at hotel rooms. Travelling is so great, but eating on the road can get frustrating...looks like you've taken care of that problem. Also, how nice to see a prairie dog from Theodore Roosevelt NP! I love it out there, and we ND people are pretty proud of that park. I've had so much fun hiking and kayaking out there - makes me wish it was summer! Hope to see posts while you're on the road, and have safe and happy travels! Great photos. Do you shop on the road at regular grocery stores, or do you try to hit upon local farmer's markets? I know in places like Arizona when we were there (we're big travelers too, but me not s much at the moment with 4 kids) the vegan shopping options aren't great. We do eat out a lot, and the veg chili bread bowl at one of the Grand Canyo lodges is fantastic! CCV had a link to you today and so I popped over to say, "hi." I am very jealous of your traveling job! Sounds amazing. Great post, pictures and pizza! It sure seems like we work in parks, but that's just what we get to do on the weekend when we get some time off. Good guess though! We do shop in normal grocery stores as well as health food stores. I will write reviews about all the little health food stores we visit this year! What an incredibly wonderful job! Wanna trade? MIne is in an office without windows. Hate it! You are a crackup, but your hotel meals are perfect. I can't wait to see what you come up with on the next road trip. Enjoy, be safe, and stay in touch! PS. pizza on the stove top? How the heck did you do that. I wanna try! River, those are some amazing meals! Better than most have at home, for sure. I love to travel and am a total germaphobe! Come visit me if you come to NY! I am intrigued by your mystery job! How cool are all those ovenless meals! Can't wait to see what you come up with. 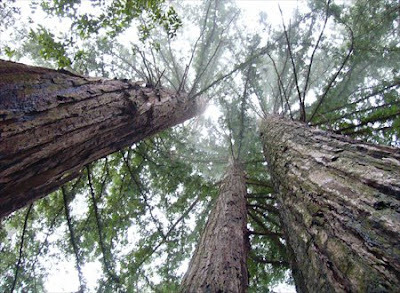 And gorgeous pictures- especially of the redwoods. Glad I checked out your blog. I am so impressed with you hotel meals! Taking a long a toaster oven...so smart! Can't wait to see more goodies while you are on the road. Oh my gosh, that bottom photo is so scary! It looks like you're going to fall into the abyss! NOOO! Oh my gosh, I didn't realize it was possible to be so creative when cooking on the road and at hotels. I would definitely be interested in more posts about how you do this! The pancake-tower cake and the stovetop pizza crust are so awesome -- you get an A+++ for coming up with that! 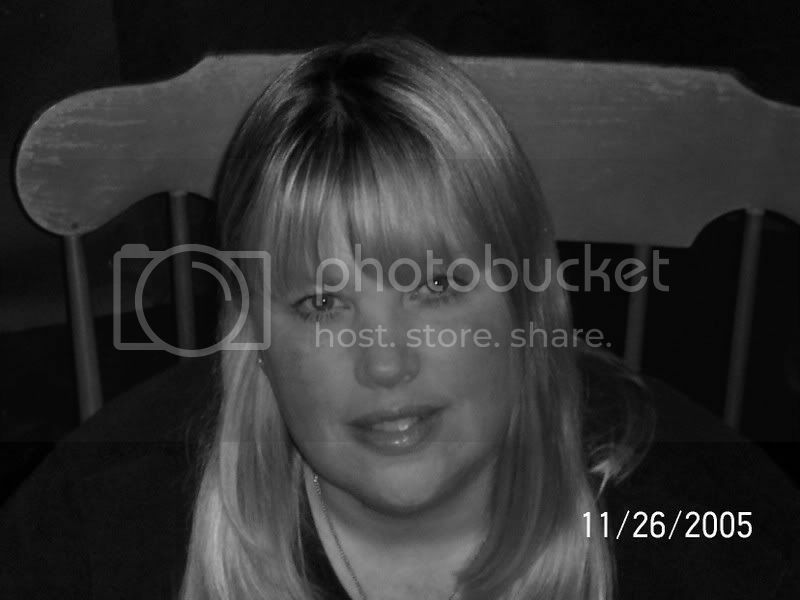 Wow, great pics! And to be able to prepare such delicious dishes while on the road... that is truly inspiring! I have read some of your posts and would like to revisit. If you like reading short stories from an Indian writer, then a visit to my blogs would be an interesting one for you. You're an International Vegan of Mystery! I can't believe all the magical things you made in hotel rooms - I mean food. Sorry, that sounded weird. You are superamazing! I love all those fantastic pictures - you have really seen the US! YOU'RE NO FAUX CHICKEN!Babybear and I won't have you think these thoughts. Buddy, the mjeddrah thing is good if you like lentils..plus I would caramelized my onions a bit more to make it sweeter. Plus you most prob have those ingredients lying around. Awww I'm blushing...no more compliments. My little heart can't take it!It's really the food hon! Just wanted to thank you again for your comment on my blog. It really means a lot to me--thank you!! Your photos really are wonderful . . . can't wait to see more! i wish I had kitchens in my hotel rooms.. there is nothing i hate more than eating out EVERY day.. ugh. hope your having a great time getting ready to go! **Just as a heads up: I will not be able to comment on blogs as often now, during this semester, due to work overload (I'm stressed already) - PLEASE know that I'm still loyally reading, but just won't have time to comment. I hope you understand!! River I Am amazed at your gourmet travel meals!! Can I bring you along when I travel? Do share more of your traveling meals with us. And what lovely scenery yall get to see on the road! Your pictures are stunning. You must get to see some amazing places while you are travelling. I am quite impressed that you cook so many meals while you are on the road. They all look really good. Wow! It's so great to catch up with you. What amazing and wonderful jobs you have. And I'm so impressed that as travelers you cook your own meals, and that they look as if they were prepared in your very own kitchen. I enjoyed all the park photos! That sounds like such a nice job. And those are THE best road meals/desserts I have ever seen. I've said it so many times before (and I am going to say it again), you are so creative! Have fun on your next trip! I've been to 35 states too! we need to swap stories! hey my coconutty twin...thanks for the snack alert! NICE! Thank you guys, I'm REALLY enjoying all the guesses! 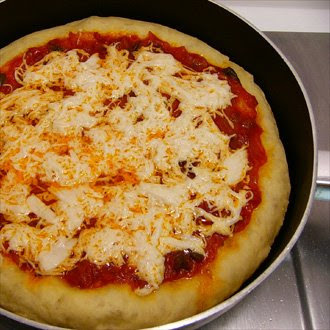 Sheree, I will post a stove top pizza soon! I'm so glad I discovered your blog! I too like to stay in hotel rooms with kitchens when I travel. It's cheaper and you end up eating better. I'm super impressed with your desserts and stove top pizza! that is so interesting! now you have me wondering what it would be like to cook out of a hotel room for an extended time. I guess college was sort of like that for me :). I would imagine a toaster oven is a real bonus. same with a crockpot and a hot plate. 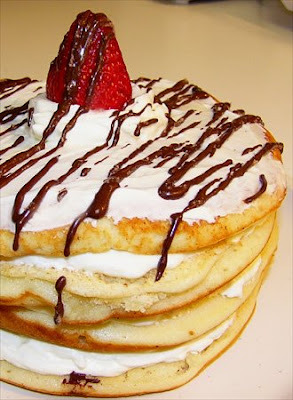 the strawberry cake pancakes look amazing. do you listen to books on tape in the car? I've been to mt. rushmore. I've also been to yellowstone, acadia, and mt. rainier national parks. I definitely want to see more of them.